Developed with latest generation of solid state lighting and electronic driver technologies, this 1'×4' LED panel light stands above the competition by providing highly efficient edge-lit construction maximizing performance and improving overall energy savings. 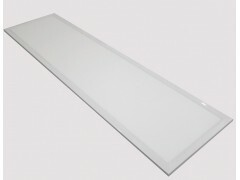 The provision of an elegantly flat LED panel having edge lighting allows for thin panels of flexible length and width providing homogeneous light output. A laser-etched light guide refracts the beams down towards a high-transmittance diffuser, which eliminates glare and spreads the light out uniformly. The low glare of this panel makes sure that the light is not overpowering or distracting which aids concentration, providing an improved vision experience by eliminating lighting fatigue. Added to this, the color rendering index of 80 will deliver adequate colour rendering for retail stores and showrooms where natural color and appearance is important. Its high performance is in conjunction with affordability, making it ideal for offices, hospitals, schools, museums, galleries, commercial buildings, industrial facilities, conference rooms, reception halls, homes, and more. Backed by a 5 year/50,000 hour warranty for a long life of maintenance-free service. • Advanced heat sink for maximum thermal management. 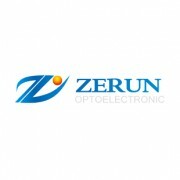 • Enhanced optics which enable the flat panel to meet low glare requirements. • Laser-etched channels evenly distribute light across the face of the panel. • Quality construction and prepainted high-reflectance (91%) powder coat finish. • 120° wide beam angle for even light distribution.